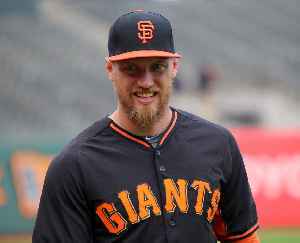 Hunter Andrew Pence is an American professional baseball right fielder for the Texas Rangers of Major League Baseball (MLB). He previously played for the Houston Astros, Philadelphia Phillies and San Francisco Giants. Pence stands 6 feet 4 inches (193 cm) tall and weighs 230 pounds (100 kg). He bats and throws right-handed. He was a member of the 2012 World Series and 2014 World Series championship teams with the San Francisco Giants.